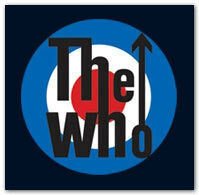 The Who are one of the greatest rock bands of all time. Highly acclaimed since they hit the scene in London, 1964, they have played at all of the milestone events in rock history – Monterey, Woodstock, the Isle of Wight, Live Aid and many more. They continue playing and touring right up to the present day. 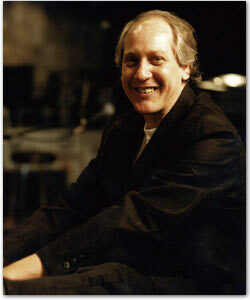 Keyboard player John Bundrick, known affectionately as ‘Rabbit’, has played with The Who since the late 70’s but has an enviable roster of collaborations that read like a rock who’s who – Bob Marley, Peter Frampton, Roger Waters, Mick Jagger, Toots & the Maytals, Joan Armatrading as well as pursuing his own solo career. “IK are really doing things right. I just got hold of my copy of their new SampleMoog and as soon as I opened it, the fun started! SampleMoog is so good – it does it all… it’s well worth adding to your collection! Rabbit is currently touring with The Who. Check out his website for dates and more information about him. John “Rabbit” Bundrick has worked with some of the greatest legends in music and on some of the most iconic projects in music history. Contributing keys to Bob Marley’s albums, composing for the cult classic film “The Rocky Horror Picture Show,” and being The Who’s keyboard and synth player are just a few of Rabbit’s achievements. Rabbit is still actively with The Who and working on several music projects. An enthusiastic DrumCore user, Rabbit emailed us with some amazing stories of life with The Who. Rabbit: I first joined The Who after an introduction to Pete via Glyn Johns. I was working for Glyn on Joan Armatraing’s ‘Show Some Emotion’. It was fantastic because I thought I had made the big time. Just the original guys and me, no horn sections like it is today, no background singing, no extra guitar players. It was The Who, as raw and rough as they could be, and I got to jam with them and that was fantastic… The very first tour I did with them in 1979 was my favorite because I did all the overdubs live on stage without any synthesizers and recorded bits. And of course there’s the day that I auditioned for ‘The Who’, in which we all got together and just jammed for hours, me, Pete, John, Roger, and Keith. Just the 4 of us. I was the last guy they auditioned, and after we jammed, they didn’t audition anyone else. I’ve been there ever since, so I guess I got the job. After the audition, Keith insisted that he give me a ride back to London in his limo. Me and him were buzzed about how well the audition went, and how much fun it was. He wantedÊme to ride back with him and get to know me better. Boy, what a night that turned out to be! On the way back, Keith played me his own demos. He had the volume up so loud, that I swear I couldn’t even describe one track I heard. It was decibels, not music. I yelled to him, “nice noise, Keith.” Anyway, Keith decided that the success of the day warranted a celebration, so he decided to take me to Morton’s club for a drink. I told him okay, but just for a little while, I needed to get home. When we arrived at Morton’s, we got out of Keith’s limo, which was parked next to another limo, and he immediately jumped on the other limos bonnet, climbed on the roof, and just started jumping up and down on top of it. I got embarrassed as hell, and thought we were gonna be killed by the guy who owned it. Keith was yelling his head off, and I heard him yell, “I can do this to anybody else’s motor, but nobody can do it to mine!” I guess he was calling in his aces for who he happened to be. He could get away with it because he was ‘Keith Moon’, and nobody would dare do to his car, what he’s doing to somebody else’s. I left him there, and quietly snuck into the club, as if I was alone. I didn’t want to claim that I was with the guy who was destroying somebody’s limo outside the club, in full view. I guess he got bored jumping on that car, so he came into the club. It was great! There was loads of musos there, having fun, screaming and yelling to get above the noise. It was terrific! I finally made it to the big time. I was partying with Keith Moon! We stayed a while, then I said I had to go. Keith said, “No you don’t!ÊYou’re coming home with me for a drink at my pad”. So it looks like my night isn’t over yet. We went back to his pad, and we were stinking drunk. His little Swedish girlfriend did her best to control us, but it was hopeless. They had brand new, white, deep plush carpets just put in their flat. Keith didn’t care. The red wine came out, me and him were drinking it like water, and kept spilling it all over the white carpet. His girlfriend said, “Look what you’re doing! You’re ruining the carpet.” Keith grunted back, “I don’t give a s–t! Me and my mate Rabbit are having fun. Get some more wine out!”. At that point, I could see that it was indeed time for me to leave. it must have been 3 in the morning. I managed to get the girlfriend to get me a taxi out of there. Finally, I’m on my own. Keith is at home, or maybe not. Who knows what he did after I left, but I was so drunk after hanging out with him, that for some insane reason I thought I would pull a fast one on the taxi driver. It must have been Moon influenced, after what I had just gone through. So as the taxi was turning right into Oxford street, I decided to get out of the car and run away without paying, just as a joke, a prank. My head was spinning so much that I thought the taxi had actually stopped, so I opened the door and started to step out. In fact the taxi was still moving, so my legs buckled under me when my feet touched the road, and I fell out of the taxi as it turned right. I went tumbling and rolling down Oxford Street, only to look up and see all the cars headlights coming towards me, brakes screeching, horns honking. I jumped up, and ran off and took refuge in the back of some late night restaurant, so not to be discovered by the taxi driver, who obviously saw me go in, as he gave chase. He wanted his money. A Copper came in with him, and said pay up or go to the police station. The restaurant owner was in shock. I paid up, and left the restaurant. The cop said to go home and stay out of trouble. It felt like I was a little kid, being told off for being mischievous. I felt very Keith Moon. I nearly got away with it, or did I? The only problem with the situation was that somehow I broke my hand. I thought it must have been in the fall, but having thought about it some more, I do remember the taxi driver grabbing hold of my wrist, and twisting it so hard, I felt and heard it snap. It was him, I know it was. He was mad as hell! So I woke up the next day, called Bill Curbishely and told him I couldn’t be in the band after all cause I broke my hand. Bill asked me how it happened, and I told him I got drunk a fell out of a taxi. He said, “look Rabbit, we already have a Keith Moon, and we don’t need or want another one. Maybe we better hold off and look somewhere else for a keyboard player. Why did you try to get out of a taxi, and what were you doing that would drive you to do such a thing?” I said to Bill, “I spent most of the night with Keith last night, after our audition, and we got plastered.” Bill laughed, and said, “well that’s a different story then. Everybody is entitled to one mistake, and you just made yours hanging out with Keith. Now you know better. Just let us know when your hand is healed, and you’re still in the band.” Nice one Bill, thanks. He has saved my life lot’s of times since then. Then Keith died, and I guess the rest of the guys were determined to finish what we started, so we got another drummer in, Kenny Jones, and kept going. The rest is history. Before I met the guys from The Who, I was working in my own band, ‘Crawler’, with a couple of Texas mates, Tony Braunagel on drums, and Terry Wilson on bass, along with 2 British guys, Geoff Whitehorn on guitar and Terry Slesser on vocals. Plus, I was doing lots of session work as well. On one of these sessions, while I was doing an album with Joan Armatrading produced by Glen Johns, I met Pete. Glen was due to produce an album with Pete and Ronnie Lane, called ‘Rough Mix’, and I suppose as they were discussing which musos to hire, the situation of who was gonna fill the keyboard role came up. That’s when Glen told Pete about me, and that I had been working with Glen on various albums he was producing, including Andy Fairweather-Lowe’s ‘Wide Eyed and Legless’ single, and his albums ‘La Booga Rooga’, and ‘Be-Bop n’ Holla’. Glen invited Pete to come to the studio while we were working, so me and Pete could meet face to face. It was a great pleasure. The first time I met Pete, his hand was out-stretched, waiting for a big ole’ Texas handshake’. He was very warm towards me. I think he twigged that I was the guy from the band ‘Free’, which I know he was into. So when we met, he sort of knew me already from my playing on the Free records. So, it was all set up for me to play keys on the ‘Rough Mix’ album. Great! In fact, when we did the album, it went so great, that I’ve been working for Pete ever since. That was in 1976………anyway, to get back to Keith, as I said, I was working in Crawler, and we had an office in Soho. I used to go there for meetings, when all of a sudden, one time I went in sitting on the couch was Keith Moon, in the foyer of the office. As I past him, he said, “Howdy Rabbit”. I must say now though, that I didn’t know it was Keith, because I only knew Pete, and had never met any of the other guys, so I didn’t recognize him. Can you believe that!? What planet have I been on!?! I went into my meeting with the Crawler guys. Our manager, ‘Abe Hoch’, said to me, “Rabbit, what’s he doing out there?” I said, “Who, that guy sitting on the couch? I don’t know. He just said hello to me. Who is he?” My manager said, “What!? That’s Keith Moon, the drummer from the Who. What’s he doing in our office? !” Again I said, “How the hell do I know? I don’t even know who he is! ?” We went on with our meeting, and when I came out to leave, Keith was no longer sitting there. He had left. For the next few weeks, when I came in for meetings, there he was again, sitting on the couch, and when I’d pass him, he’d say, “Howdy Rabbit”, and when I’d come out, he’d be gone again. It completely confused everybody. Why was Keith Moon always in our office when I came in for meetings? Well, as time has now passed, I have my own theory about it. I think he was there checking me out. I think Pete must have mentioned to the other guys in The Who that he’d found a keyboard player that he liked to work with, and I think Keith put 2 and 2 together, and figured he’d better check me out. It must have intrigued him, there’s a guy running around who calls himself, ‘Rabbit’. What kind of name is that? He had to search me out, and discover for himself, what the guy with the stupid name is really like. Anyway, time moved on, I did my ‘Crawler’ bit, and Pete kept in touch, just talking, nothing in particular. One day I was working on Andy Fairweather’s ‘Wide Eyed and Legless’ single, with Glen Johns, at The Who’s ‘Ramport Studios’ in London. I noticed that Pete and The Who’s manager, Bill Curbishley were also there, up in their offices, doing their ‘Who’ thing. When my session with Glen was over, and I was about to leave, Pete asked me to come upstairs for a word with him and Bill Curbishley, so I did. I went into their office at the studio, and Bill started the conversation. He said, “Rabbit, what are you doing at the moment”. I said, “Well, I do a lot of sessions, and I’m in a band called, Crawler, and we make records and tour, supporting main acts in the USA.” Then Bill said, “Well, would you consider leaving your band and joining the Who?” My first reaction was that I already had a band, and I’m the boss in that one, and I like being my own boss. Then it hit me! Hey, Rabbit, this is the Who you’re talking to, not some second rate outfit. So I said to Bill and Pete, “When?” Bill said, “Now.” I said, “Sorry guys, I can’t. I got to finish my tour with Crawler, in the USA. What a drag. Thanks anyway”. They nearly busted out laughing. Here was a guy who was gonna turn down joining The Who, just because he had a tour to finish. Bill said, “That’s okay, if you want to, finish off you’re tour, and when it’s over, come and join us. We’ll wait.” So, I immediately said, “You’re on!” I went and finished my Crawler tour, and came back to England, and have been with The Who ever since. That was in 1979. Now it’s the year 2010, we still have Zak Starkey on drums, and it’s brilliant! Rabbit: I use a ‘real’ Hammond B3 and my fabulous Kurzweil K2600 running all my sounds for the entire show. I also use Line 6 guitar gear on my Hammond, wah wah, echo, fx etc, and a rat distortion pedal. That’s all I need for the greatest rock ‘n roll band in the world. Rabbit: My dad always had big country & western jam sessions in the house. Uncles, aunts, nephews, friends and everybody who wanted to drink beer and play country music all night were all welcome, brilliant stuff! My musical interest started at the age of seven when my parents bought me a piano,which I “took to” straight away. I took piano lessons from the age of seven. When I got to High School, obviously there are music classes you can take, so I took all of those and when I went to college I took the mandatory classes like English, Geography, and Math and I failed every one of those. I took a load of music courses and I made straight A’s in those which obviously means I spent 100% of my time on music classes and no time on Geography, English, or Math etc. For recreation, the physical education class, you had a choice of whatever you wanted to do like tennis for instance. I opted for bowling because I got to leave the campus, drink beer and hang out at the bowling alley. I took music and bowling and drank beer basically in college. Regarding theÊ Hammond organ, it was, Vanilla Fudge and the organ player from the Young Rascals, Jimmy Smith, an organ player from the old days, and Billy Preston, guys like that. Piano-wise, Floyd Cramer, Steve Winwood obviously is wonderful, and Jerry Lee Lewis is high on the list. Yes, Jerry Lee Lewis’ rock n’ roll piano and various other classical kinds of guys, and of course country & western & soul music, Sam & Dave, Wilson Pickette, Johhny Taylor, & Mowtown. I even used to sing soprano in a Baptist Quartet, called the ‘Dill Brothers. That’s it really. Today I don’t listen to any music but mine unless I’m actually playing on it. If I’m playing on it, I’ll listen to it, but if it’s a record or album or tape, and I’m not on it, I don’t put it on. I only listen to stuff that involves me because that way I can keep abreast of how I’m doing musically. It’s not an egotistical thing, it is self discovery study, and to see whether I’m losing it or not. The drummer, in the band I was with in 1966, said that I looked like a rabbit and the name stuck. That’s how I got the name Rabbit. In the band they were teasing me because of my teeth and they started calling me Rabbit. 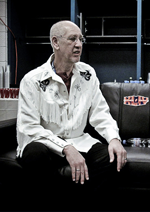 I was born on November 21, 1948 in Baytown, Texas, about 30 minutes from Houston. My dad played bass and still does, my brother played drums, one brother violin and the other played saxophone. My mother played a bit of piano and sang. Rabbit: I am re-recording my 1st 1972 Island Records solo album, ‘Broken Arrows’, with the original engineer, Digby Smith, a friend & confident after all these years. We had my original masters baked and are in the process of having various singers re-sing my vocals, re-doing drums, guitars, overdubs, etc, to bring it more in-line with today’s sound, digital. It’s going extremely well. So far we have about 15 tracks done, and continuing on for more. This is a labor of love, being my very 1st ever solo album, so a deadline for the project is not important. I have chosen Greg ‘Koffi’ Brown to sing my soul type songs, Reg Meuross to sing my folky-country type stuff, a brilliant unknown singer from the band ‘Night Parade’ from Liverpool to sing the most important ballads, and Crawler’s bass player’s wife, Teresa James to sing the rest of the country stuff. Simon Kirke (Free), Juan Emmerloot on drums, Geoff Whitehorn, (Crawler) on guitars, Tetsu (Free) on bass, etc, etc. Jim Capaldi (Traffic) even plays drums 1 or 2 tracks, and last but not least, my nephew Steve Bundrick on drums for some tracks. I also have several other projects going on too. I have ‘Native American’ albums going, some classical stuff going on, and the rest. Rabbit: Please go to rabbitwho.com where you can listen to segments of music and purchase cd’s via PayPal. I also have a radio station on www.iacmusic.com. You an hear loads of music there. The name of my radio station is ‘RABBIT’S HUTCH’. This entry was posted on Sunday, July 4th, 2010 at 5:10 am	and is filed under General. You can follow any responses to this entry through the RSS 2.0 feed. You can leave a response, or trackback from your own site.